This is a hardback, colourful almanac of descriptions of the world's martial arts but is it any good? There are many entries in the book, which is encyclopaedic in its format, and it does give a good, broad look at the martial arts around the world. I'm sure that some esoteric arts might not be covered but to me it looks pretty comprehensive. The entries I have knowledge about seem fairly accurate but don't stray from the 'party line' and therefore have no analysis. This isn't surprising from such a broad look at the martial arts. What does lift this book is the photo documentaries sprinkled throughout which give more insight into the human aspect of living martial arts, examining how people today, all around the world, dedicate themselves to their art. As a human documentary this is interesting and helps to convey the idea that to some people the martial arts is a unifying force, despite its basic premise of conflict. 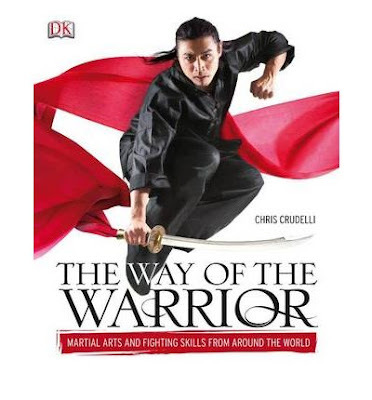 Chris Crudelli is mentioned on the cover as the author but apart from a couple of little editorial snippets where he adds that he has trained in this style or that, I can't see what else he really adds. Perhaps he was responsible for the photo journals. Buy it or not? Good clean, fun book, lots of descriptions about many martial arts around the world but no in depth analysis or critical appraisal. Have this on your shelf as an encyclopaedia of martial arts (especially as Borders is now closing down and has some pretty good offers on! ), or just use Wikipedia for free. Good review and I agree completely. Good addition to your book collection mostly as an encyclopedia.